Have you ever wanted your child to learn a set of Global ABC’s? Here, we’ve chose, “I” for musical INSTRUMENT! What is Your National Instrument? All over the world, countries and cultures have instruments that seem to speak from the soul of that group of people. Think about a didgeridoo from Aboriginal Australia or a balalaika from Russia or a Taiko drum from Japan. Finding out about these special and significant musical instruments can be a great way to learn about the country you live in, your family heritage or another country or region you may be studying. Below is a link to a huge list of countries and their national instruments. 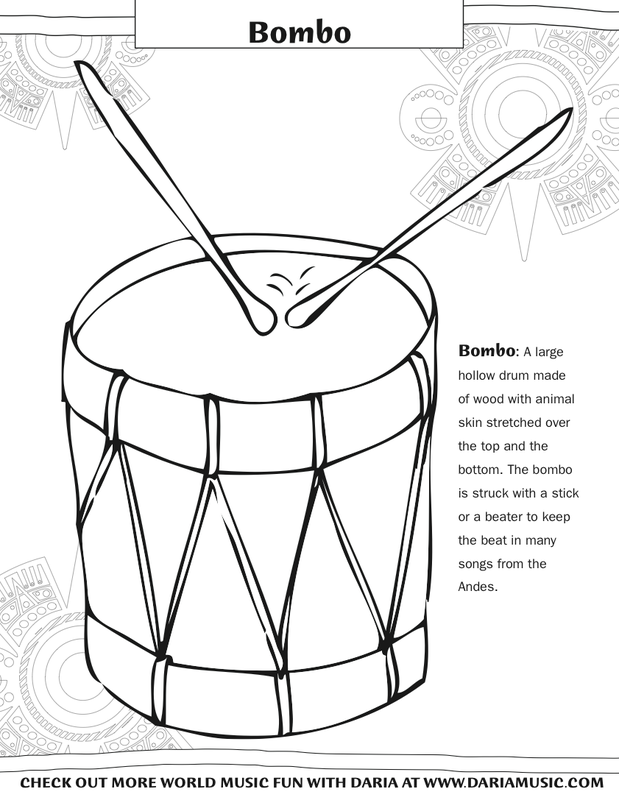 You can learn all about instruments by coloring them. Discover what they are made of, what they sound like or add your own colorful combinations to familiar instruments like the guitar. 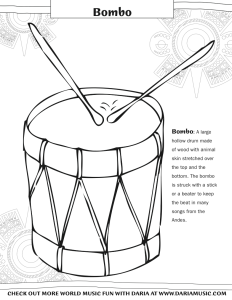 Below you’ll find a link to lots of free coloring pages you can use to explore guitars, sitars, bombo drums and even a rattle made from the toenails of goats! There’s also a link to online coloring for African shekeres, American washboards, Latin American guiros and more! 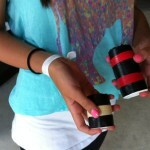 Okay, you’ve played with an instrument of choice and colored it in your own special way, now what does it sound like? 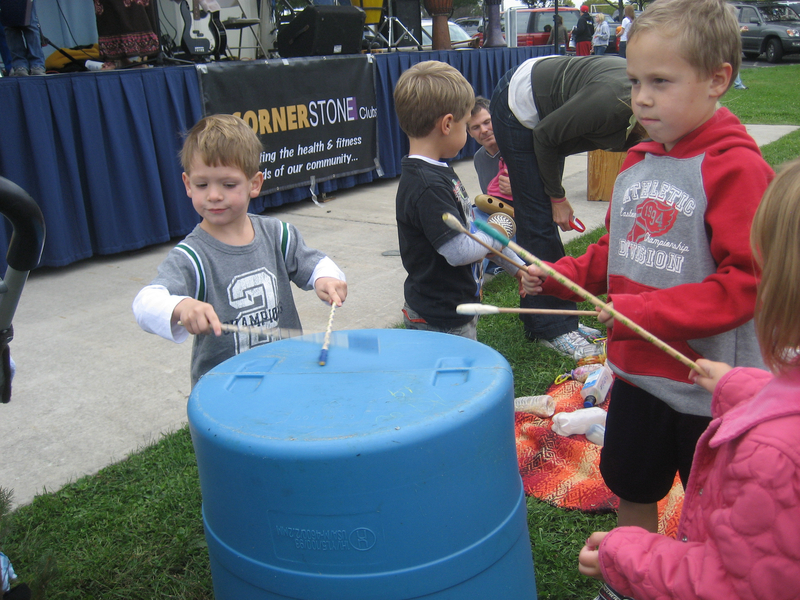 It can be fun to explore music by visiting music festivals, local performances (like the one pictured to the right) or by borrowing recordings or videos from your local library. You can also look up unique instruments on the internet to find out what they sound like or how they are played. Below is a link where you can click and hear Australian didgeridoos, Peruvian box drums, Appalachian lap dulcimers and lots more! 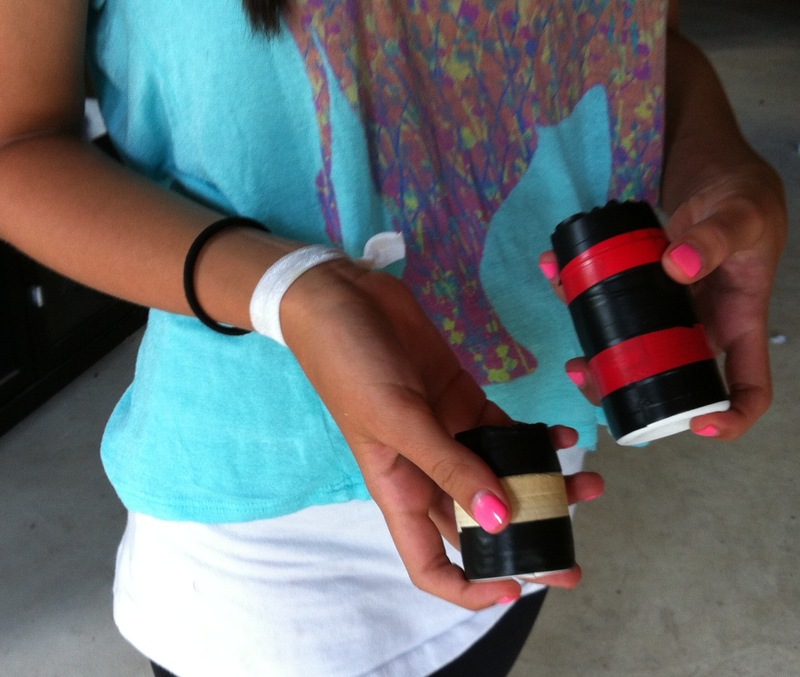 Before there were music stores – almost everyone crafted their own instrument! 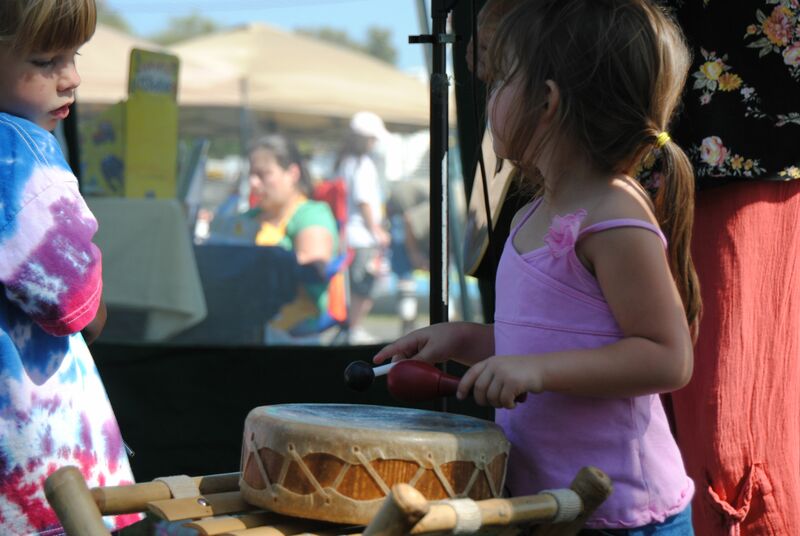 There are some especially wonderful kid’s craft versions of simple instruments available on the internet such as Egyptian sistrum rattles, African tongue rattles and even a recycled version of a Native American turtle shell rattle. You can find many of them on the DARIA MUSIC website as free pdf’s below. And what is more inspiring than watching a young child play a musical instrument with true beauty and grace? Feel free to check out Multicultural Kids Music Vids - a curated Youtube video site that shows young kids playing Hawaiian ukuleles, Bolivian charangos, Chinese New year drums and more. Not only are they keeping up beautiful cultural traditions, but they are showing us what a child can do to make the world a more artistic and beautiful place! This entry was posted in Early Learning With Music, First Instruments, Homeschool Musical Fun, Multicultural Music, Musical Crafts, Simple Instruments and tagged childrens music., Daria Marmaluk-Hajioannou, dariamusic, Easiest Instruments For Children, Easy Instruments kids, homeschool music, kids musical crafts, multicultural music, unusual percussion, world music with daria, young children and music. Bookmark the permalink. I LOVE all sorts of instruments and YES! they are important when introducing the world to our little ones for music is such a inseparable part of every culture! thank you for participating!